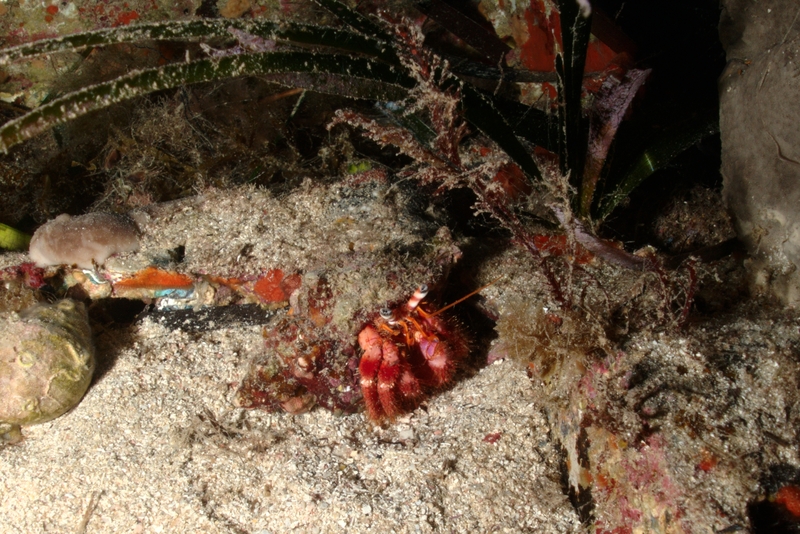 A red reef hermit crab (Dardanus arrosor) parked under the Bristol Beaufighter. I like taking photos of hermit crabs because if you move too fast they close up. Always a challenge! This work is licensed under a Creative Commons Attribution-ShareAlike 4.0 International License. Please attribute Kristaps, the photographer, with a link to kristaps.bsd.lv/photo0076.html.